Following the results of the previous week when both United and rivals St. Mirren won, this weekend's game took on even greater importance. United went into the game with a point advantage knowing that their fate was very much in their own hands. 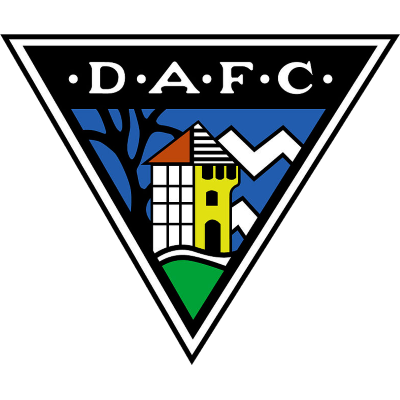 However, despite having a disappointing league record at Tannadlce, Dunfermline would prove to be very difficult opponents as Jimmy Calderwood has built an excellent side who were very close to earning a top six place in their first season back in the top flight. United Manger Alex Smith made two changes the side that beat Motherwell just eight days earlier. Captain Jason de Vos returned to the heart ot the defence which meant Danny Griffin moving back to midfield and last week's match winner, Jamle Buchan, dropping to the subs bench.There was a change in attack too with Steven Thompson replacing Jim Hamilton, who sat on the bench. United certainly opened the game in positive fashion with Pars keeper Ruitenbeek having to look lively in just three minutes to stop a header from Thompson after good work on the right by Lllley. In the 7th minute a Miller free kick set up Lilley but he hit his shot straight at the Dutch keeper. It was Dunfermline who created the first clear cut chance in the 17th minute, when new Scotland cap Nicholson crossed from the right for Bullen, but the big striker headed over when well placed. The vital breakthrough came in the 20th minute and it was the home side who got the goal. Left back Partridge embarked on a run from well inside his own half to reach the bye-line before sending over an excellent cross to the front post. 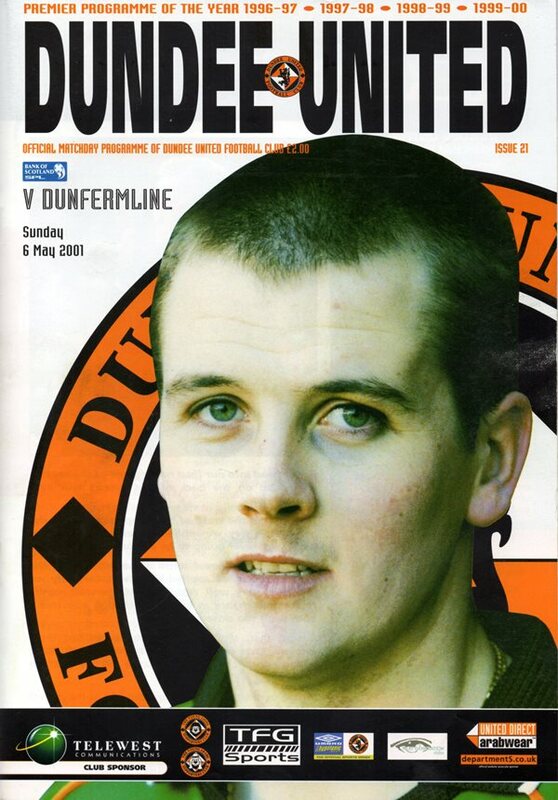 It was met gratefully by Steven Thompson who stooped in front of the Pars defence to send a looping header over the keeper into the back of the net for what could be his most Important goal for the club. The goal clearly settled the Tangerines who laid siege to their opposition in search of the second, de Vos and Thompson both having shots cleared off the line. Right on half time, Griffin shaved the post with another of his trademark free kicks which was given on the edge of the penalty area after Rossi had fouled Thompson. Jimmy Calderwood clearly had words with his team at the interval and during the second period they showed that they weren't at Tannadice to make up the numbers. The first real chance of the half fell again to Thompson when he ran on to a through ball from Miller In the 51st minute. With the keeper to beat, he tried a chip but Ruitenbeck reached high to palm the shot to safety. In the 67th minute there was a scare for the home side when substitute Mendes ran on to a loose pass from McCunnie but fired straight at Gallacher, who did well to block the shot. With so much at stake for United, the players could be forgiven for being tense during the last quarter of the match, especially with Dunfermline going all out attack with four up front. The fact they held on, backed by a noisy home support, says a lot for the nerve of this United side who, despite having lots of experience, is a young side with an average age of under 23. The decision by the club to house the home fans in the West Enclosure again was fully vindicated as the support given to the players from three sides of the ground played a huge part in the gaining of another three vital points. With St. Mirren being held to a draw in Perth, United know that this victory left them within sight of safety..... but not quite there yet.